The Centre on Friday told the Supreme Court bench headed by Chief Justice of India (CJI) Dipak Misra that it will not touch the mythological Ram Sethu for the implementation of its Sethusamudram Ship Channel Project initiated to facilitate navigation between India's East and West coasts. Appearing for the Union Ministry for Shipping, Additional Solicitor General (ASG) Pinky Anand mentioned the matter before the bench also comprising Justice AM Khanwilkar and Justice DY Chandrachud. She informed the bench that “in the interest of the nation”, the government does not want to touch Ram Sethu rather it has decided to explore an alternative to earlier alignment of Sethusamudram Ship Channel Project without affecting Ram Sethu. She sought the bench to dispose of the petition filed by BJP leader Subramaniam Swamy, who was present in the court during mentioning of the matter, to protect the mythological Ram Sethu, a bridge which is a chain of limestone shoals, off the south-eastern coast of Tamil Nadu. In its affidavit, the government said: “Considering the socio-economic disadvantages of the Alignment No. 6, the Government of India does not want to implement the said Alignment. “The Government of India intends to explore an alternative to the earlier alignment of Sethusamudram Ship Channel project without affecting/damaging the Adam's Bridge/Ram Sethu in the interest of the nation," stated the affidavit filed by the ministry. It has also given the reference to the earlier affidavits filed by the UPA government on February 22, 2013, and September 11, 2013, wherein it was conveyed that given the advantages of the project, the Government of India intended to pursue the implementation of the project. In November last year, petitioner Swamy had sought the court’s permission to withdraw his petition saying the government had already clarified its stand outside the court that it has no intention whatsoever to tamper with the ‘bridge’, which is a chain of limestone shoals, off the south-eastern coast of Tamil Nadu. The bench, however, told him to wait till the NDA government makes its stand clear. The Sethusamudram Shipping Channel Project has been facing protests from some political parties, environmentalists, and some Hindu religious groups. Pamban Island near Rameshwaram in South India to Mannar Island, off the northern coast of Sri Lanka. 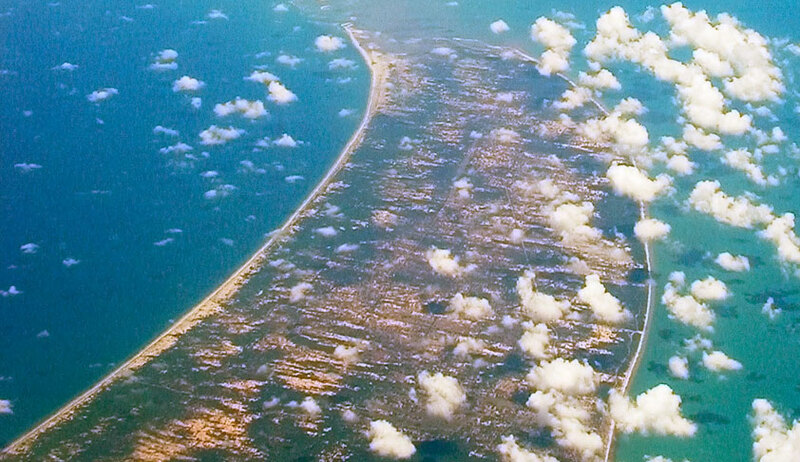 Under the Sethusamudram project, an 83-km-long deep water channel is to be created, linking Mannar with Palk Strait, by extensive dredging and removal of the limestone shoals which constitute the mythological Sethu.